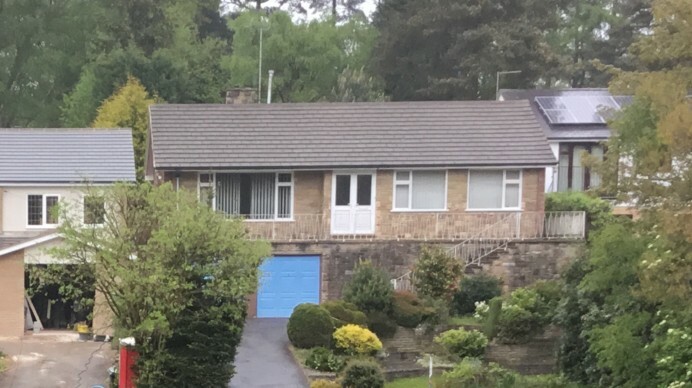 Here at Basfords, we are always happy to help customers in any way possible to help them get their home looking exactly the way they want it to. 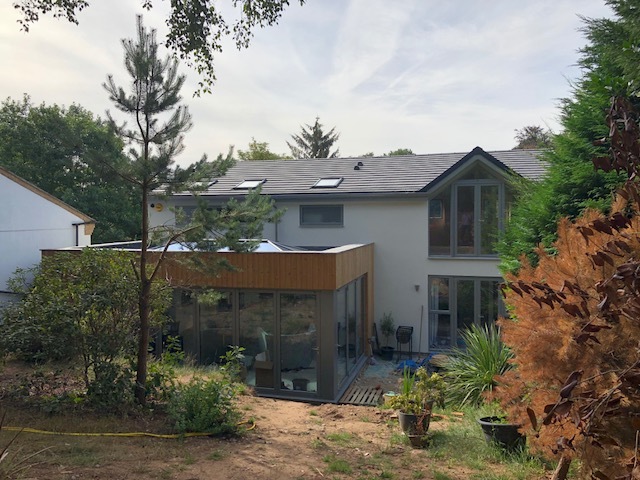 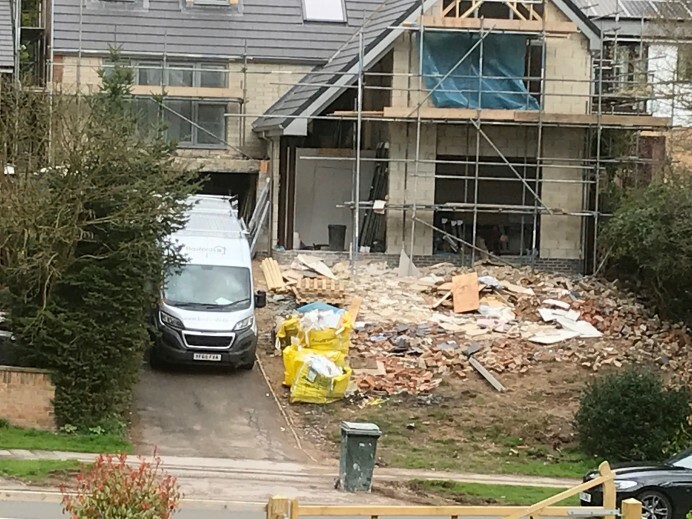 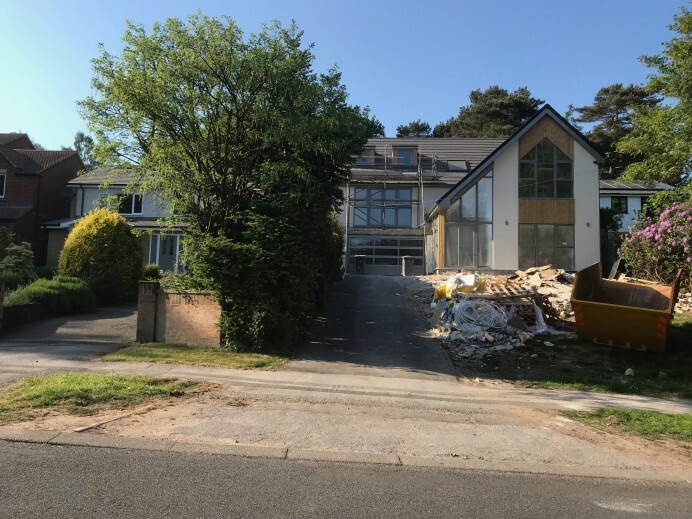 This has resulted in us in some case tearing down multiple parts of a customers house and building from the ground up, and even fitting huge extensions to the rear of properties to provide customers with a larger living area. 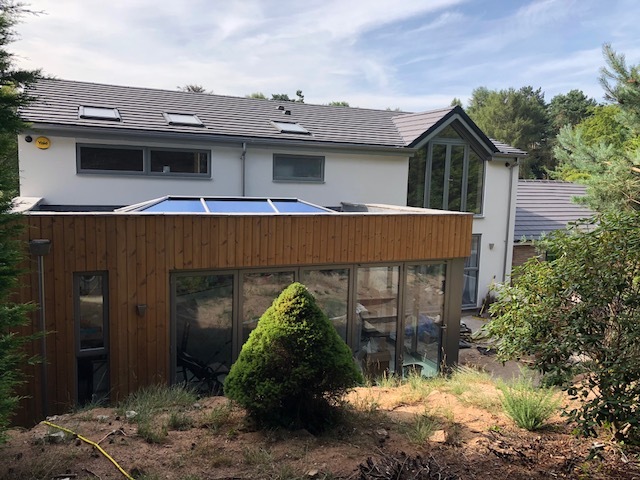 This customer however provided us with a massive challenge in that they wanted us to rebuild more or less their entire property! 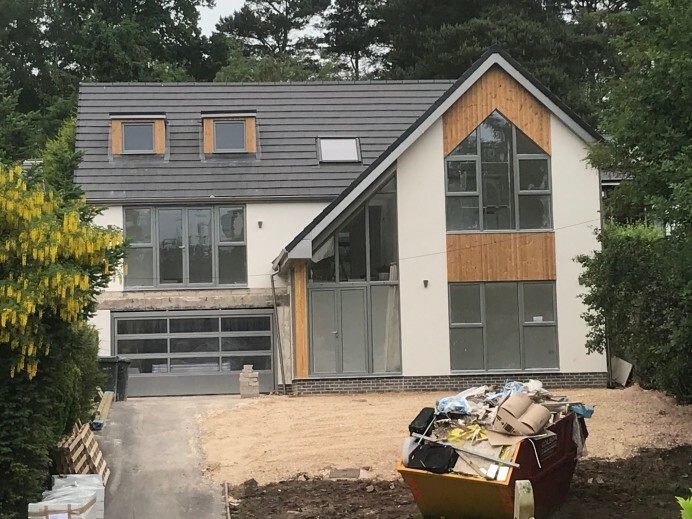 The full break down of the job includes our team building a new upper facade of the property while also fitting 27 Origin Aluminium windows; a set of Origin French Doors, a garage roller door and a set of Origin Double residential doors at the front of the property. 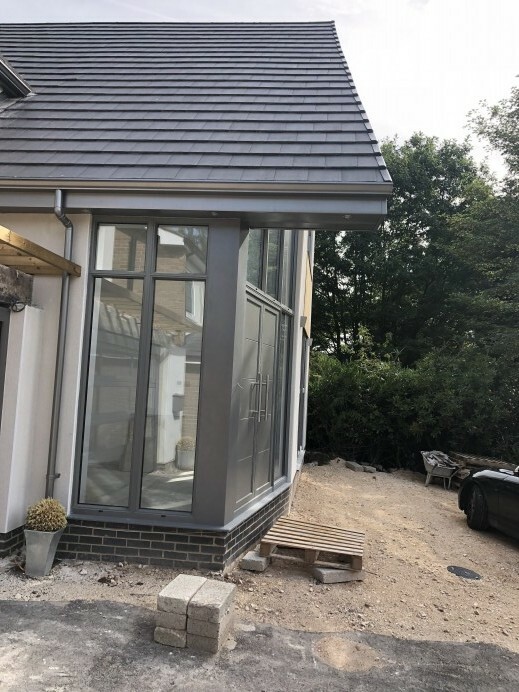 At the rear of the customer home, our team were asked to fit an 8 metre by 4 metre orangery, complete with an Origin 5 pane bi fold, an Origin 3 pane bi fold, a pitched skylight, and 2 Origin Aluminium windows, while also installing 10 Origin Aluminium windows of various sizes and 2 sets of Origin Aluminium French Doors. 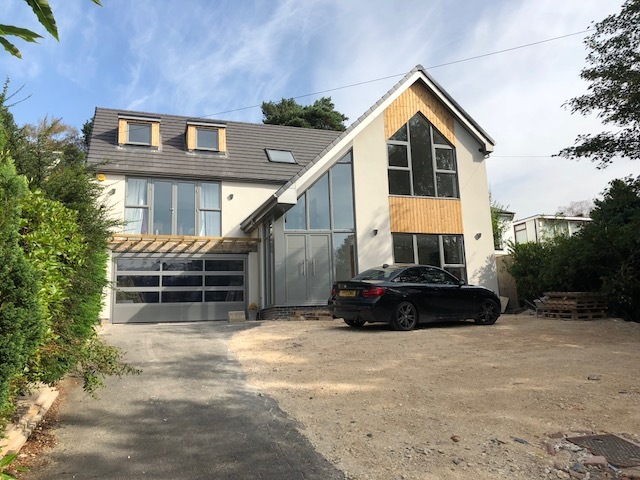 As you can see from the images, the transformation from how the property used to look to how it looks now is staggering and we are defiantly proud to put our name to it.